This is the Kart by Papertowns. It’s a gravity powered kit-set go-kart that kids and adults build and race as a team, building valualable hands-on skills and experiences. It has a hard wooden durable base structure with a customisable cardboard body shell. In a world moving more digital everyday, the Kart by Papertowns is a refreshing nod to the past. But most importantly, it’s fun. Our Kart is under construction and our first production run will be exclusively launched in time for Christmas 2019. Glenn began track cycling while he was a student studying product design in Wellington New Zealand. His passion for track and his design and engineering background led him to experiment making his own equipment. Velobike’s philosophy is to design and manufacture innovative track specific parts and accessories to suit our riders needs. Introducing the Wool Rugby Ball. Organic, earthy, and kiwi. 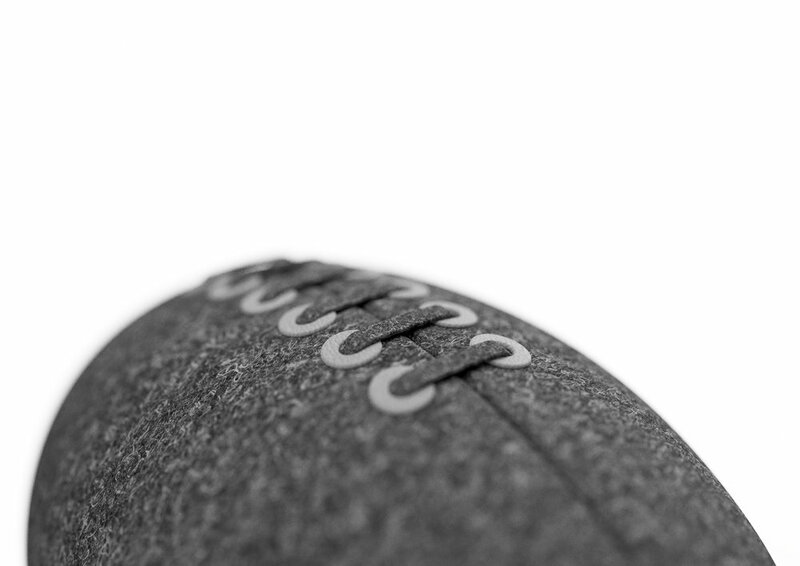 The Wool Rugby Ball combines kiwiana with wool, reflecting the essence of New Zealand’s natural resources within our national sport. Over 155,000 people in New Zealand are registered to play rugby competitively, and it’s hard to find a kiwi family without a rugby ball at home. We’ve felted wool to replace plastic ball skins, with natural lanolin oils within the wool acting as a waterproof layer. When we were little, this is who we wanted to be when we grew up. Papertowns was started in 2017 by partners Glenn Catchpole and Valerie Poort. We’re designers and entrepreneurs with a minimal, playful, and bold design style.